This easy spin on clams casino turns the classic into a creamy, party-perfect dip. Retro as the recipe may be, clams casino has always been one of our favorite special-occasion hors d'oeuvres. This twist on the classic brings the dish back into the limelight in the form of a quick and easy dip that will bring a smile to any shellfish-loving crowd. Canned clams make for quick preparation and plenty of clam flavor. The clam juice adds extra clam flavor throughout the dip while thinning it slightly to a more dippable consistency. Toasting panko breadcrumbs in bacon fat adds another layer of flavor. In a large skillet over medium-high heat, cook bacon, stirring, until crisp and fat has rendered, about 7 minutes. Transfer bacon to paper towel–lined plate to cool. Drain all but 1 tablespoon of rendered bacon fat. 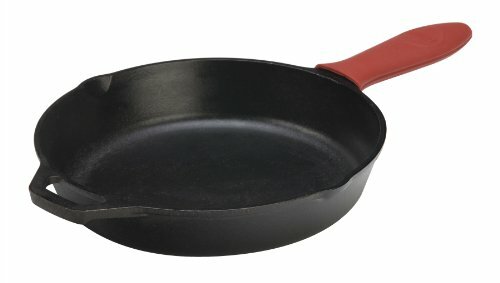 Return pan to heat. Sprinkle panko breadcrumbs over hot bacon grease and cook, stirring frequently, until golden, about 3 minutes. Scrape into bowl to cool. Crumble bacon. Add half of crumbled bacon and 2 tablespoons parsley to breadcrumbs; toss to combine. Set aside. In large bowl, mash cream cheese with fork and mix in sour cream until well-combined. Add 2 tablespoons of reserved clam juice and juice of 1 lemon. Stir in minced clams, garlic, scallions, red pepper flakes, remaining bacon, and remaining 2 tablespoons parsley, until all ingredients are evenly distributed. Transfer dip to serving bowl and top with panko mixture. Top with a few whole leaves of parsley, to garnish, and serve with crackers, crostini, chips, and/or celery, for dipping. The dip can be made up to 1 day ahead and refrigerated in an airtight container; sprinkle breadcrumbs on top just before serving.